Breathing volumes vary enormously depending on height, age, and gender. 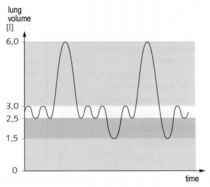 As an example a young man may have a tidal breathing volume of ~ 0.5l with an inspiratory reserve volume of ~ 3.0l and an expiratory reserve volume of ~ 1.0l, thus having a vital breathing capacity of ~ 4.5l. After deepest expiration he has a residual volume of ~ 1.5l in his lungs and airways which can not be exhaled. As long as breathing takes place continuously and gas is breathed at ambient pressure all the time, there is continuous pressure equilibration between lungs and surrounding atmosphere outside the chest wall. 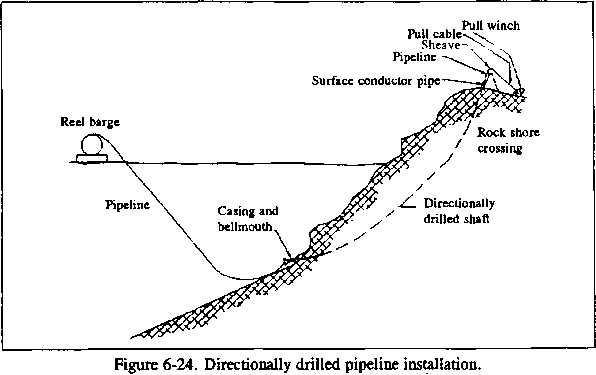 Problems may arise only if breathing is stopped during decompression (e.g. because of a generalized convulsion due to oxygen toxicity) or if parts of the lung are not ventilated properly in relation to fast decompression (e.g. because of asthma bronchiale).